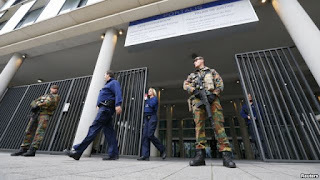 Armed soldiers stand guard outside the courthouse where suspects are expected to be questioned in the fatal shootings in Paris on Friday, in Brussels, Belgium, November 16, 2015. The raids and arrests were made as France prepares Monday for a midday moment of silence to pay homage to the victims of Friday's terrorism attacks on six sites across Paris, killing 129 people and wounding more than 350. The death toll had stood at 132, but was lowered after an apparent counting error. 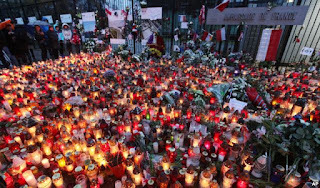 French President Francois Hollande is scheduled to mark the silent remembrance at the Sorbonne. On Sunday, French fighter jets launched massive airstrikes against the Islamic State (IS) stronghold of Raqqa, destroying a command post and a training camp. 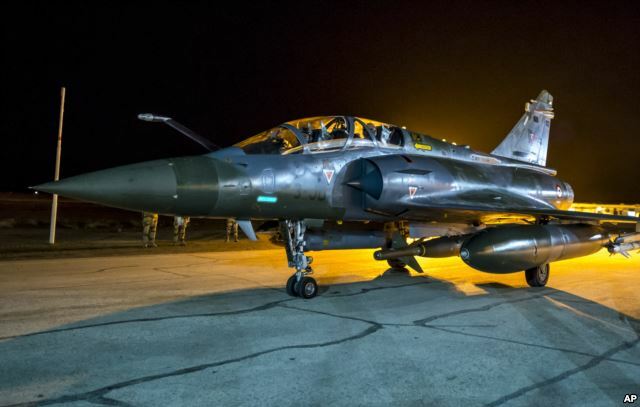 A French military statement said 10 fighter jets were used to drop 20 bombs on the Islamic State targets. It was France’s biggest strike to date targeting IS in Syria, and it comes after the terrorist group claimed responsibility for the series of attacks in Paris that killed more than 130 people Friday night. President Hollande has called Friday’s gun and suicide attacks an "act of war." While authorities believe that there were only eight actual attackers, they think that about 20 people were involved. French prosecutors said Monday one suicide bomber has been identified as Samy Amkimour, a 28-year-old Frenchman charged in a terrorism investigation in 2012. He had been placed under judicial supervision, but had disappeared and an international arrest warrant had been issued for him. People hold candles and pay their respect at Grigoris Auxentiou square in the southern port city of Limassol, Cyprus, Sunday, Nov. 15, 2015. 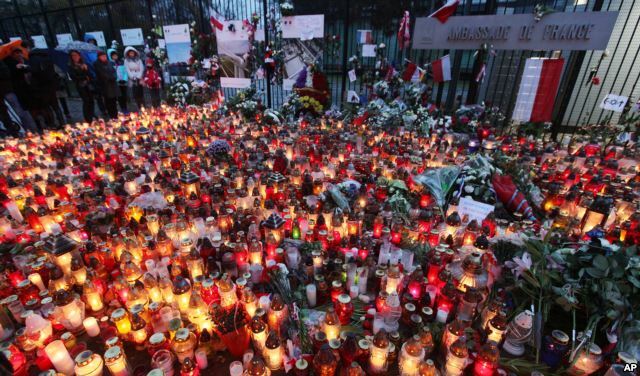 People place flowers and light candles for the victims of the deadly attacks in Paris, outside the French Embassy in Warsaw, Poland, Nov. 15, 2015. VOA's Daniel Schearf said he was shooting video footage at the first location where a crowd of about 2,000 had gathered mostly to mourn, although a small group was showing defiance and singing. A scream was heard somewhere at the center of the crowd and as he heard more screams people ran, emptying the square in a matter of minutes. Hundreds of people packed Notre Dame Cathedral for an evening mass Sunday and Paris' Grand Synagogue held a special prayer vigil. 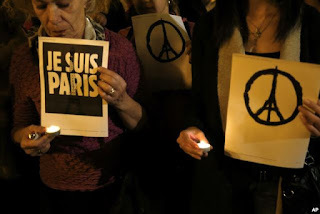 Observances were held in cities throughout France. Police said Sunday three AK-47 assault rifles were found in a black Seat Leon car used by gunmen who fired on people at bars and restaurants. The Spanish-manufactured car was discovered parked on a street in the eastern suburb of Montreuil. 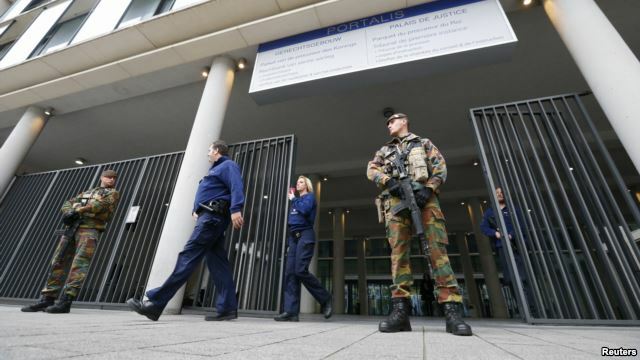 French authorities say a Syrian passport was found next to the body of one of the attackers. Greece said the man entered Europe as part of the influx of migrants fleeing Syria's civil war. 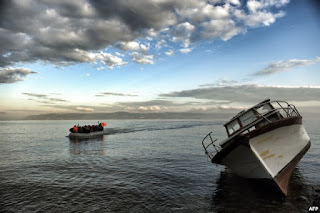 "We confirm that the [Syrian] passport holder came through the Greek island of Leros on October 3, where he was registered under EU rules," said Nikos Toskas, the Greek minister for citizen protection. Serbian and Croatian authorities say the man passed through their checkpoints in the days after that. 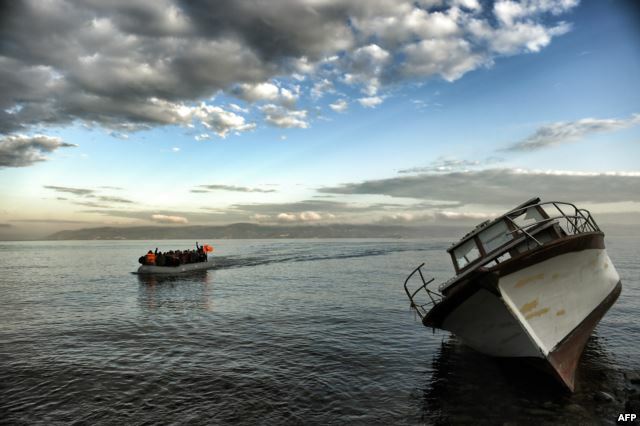 FILE - A dinghy carrying refugees and migrants, crosses the Aegean Sea from Turkey to the Greek island of Lesbos, Nov. 10, 2015. Six sites across Paris were attacked, including restaurants, a football (soccer) stadium and the Bataclan concert hall. The Islamic State singled out France in its online statement. "The stench of death will not leave their noses," it said of French leaders.